What memory do the following words inspire: mismatched sneakers, colorful bandanas, a rainbow colored bedroom, and pig tails? 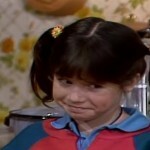 For a child of the 80s, they should instantly evoke images of Penelope “Punky” Brewster, the main character of the popular family sitcom Punky Brewster. 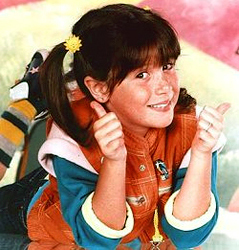 Debuting on NBC in 1984, Punk Brewster was a funny light-hearted show about a sassy and spirited young girl played by Soleil Moon Frye who was abandoned by her mother. Alone in Chicago with no one other than her trustee dog Brandon, Punky moves into an abandoned apartment and is soon discovered by the building manager Henry Warnimont. A grouchy old man Warnimont takes Punky into his home on what is supposed be a temporary basis. However, the colorful orphan has other plans. Punky quickly wins Henry’s heart and changes his life around. 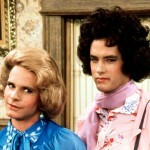 Although considered a comedy, the show featured serious issues such as CPR, kidnapping, runaways, the space shuttle Challenger disaster, and even drugs. In fact the show launched the Just Say No anti-drug campaign which was so popular in the 80s. 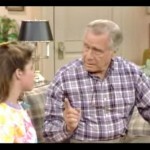 While the show delighted families across the country, it was only carried by NBC until 1986. When reruns of the show proved to be so popular it entered First Run Syndication and new episodes continued to be made until 1988. 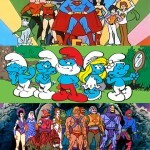 Yet even then the show didn’t loose its “Punky Power” as evident by the fact that the reruns continued to be aired until September of 1996, more than ten years after its original debut. Punky had her own style which was cool . she was an indivual.